Canadian Au Pair Solutions was forged by two friends who saw the potential for sharing their positive childcare experiences with others and making the Au Pair experience for Canadian families grow into a mainstream childcare option. Erin Findlay is a wife, the mother of three amazing children and is a busy full-time career professional. 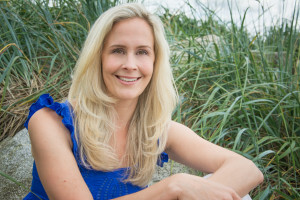 Erin earned a Bachelor’s degree from the University of Victoria in 1999 and has since completed courses and programs through BCIT, the Canadian Police College and The Justice Institute of BC. Erin has over a decade of experience honing her interviewing skills. She has achieved certifications in interviewing as well as internet investigation, key components in hiring someone you’ve never physically met. After experimenting with daycare and Canada’s Caregiver Program, Erin became frustrated with the lack of affordable and available childcare options in the Vancouver area. Erin’s family required flexible care due to schedules involving shift-work and when an acquaintance suggested hiring an Au Pair, Erin jumped on the opportunity. There was no looking back. The Findlay family has welcomed into their home 6 Au Pairs (3 from Germany, 1 from Quebec and 2 from Ireland). The relationships their family has forged with the Au Pairs has been life-changing. Over the years, friends and acquaintances often turned to Erin for advice on how they too could welcome an Au Pair to Canada. Aside from hiring an agency, there were no resources available that taught families how to embark on the process themselves. By the end of 2013, Erin was approached on a weekly basis by people looking for advice. It began to dawn on Erin and her friend Michelle that there was a calling for a consulting business related to Au Pairs in Canada. Erin and Michelle had become so passionate about the mutually beneficial relationship between families and Au Pairs that they decided to provide a service that could teach and educate families on the process. 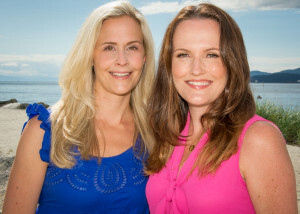 In April 2014, Erin and Michelle embarked on the journey they have called Canadian Au Pair Solutions. Michelle is a wife and mother of two children as well as a full-time career professional. 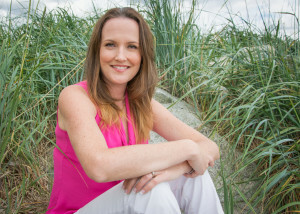 Michelle holds a Bachelor’s degree of Technology in Forensics with distinction from the British Columbia Institute of Technology and has completed additional training and courses through Capilano University, Simon Fraser University, The Canadian Police College and the Justice Institute of BC. Michelle has specialized training in open source intelligence, internet investigation techniques, social media background profiles and research. Michelle has travelled extensively throughout Asia, Europe, Australia and North America and enjoys free time spent with her family, running, alpine skiing, cuisine and her favorite band U2. While on maternity leave with her first child, Michelle was faced with the daunting challenge that every working parent faces -finding the best child-care option that fit her demanding schedule and that of her husband’s shift work. Traditional child-care options presented wait lists, inflexible hours and significant costs. After speaking to her friend Erin Findlay and others whom had experience with Au Pairs, the decision was easy to host an Au Pair. The Brander’s have maintained a close relationship with their past Au Pairs and cherish the wonderful relationships that have been formed.